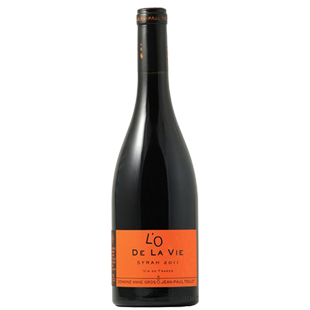 "A young vineyard, planted in Syrah, which grows on the slopes of the Creek of Life, "Stream of Life" ( Rec Life in the Languedoc dialect). There is a purity of the varietal associated with this plot that is unveiling, an elegant personality, even in its youth. This is a balanced wine, very specific and thirst quenching, which goes well with roasted meats and charcuterie. A crystalline wine."